Is it Possible to Change SIP Investment Amount Every Month? Is it possible to change SIP amount every month? 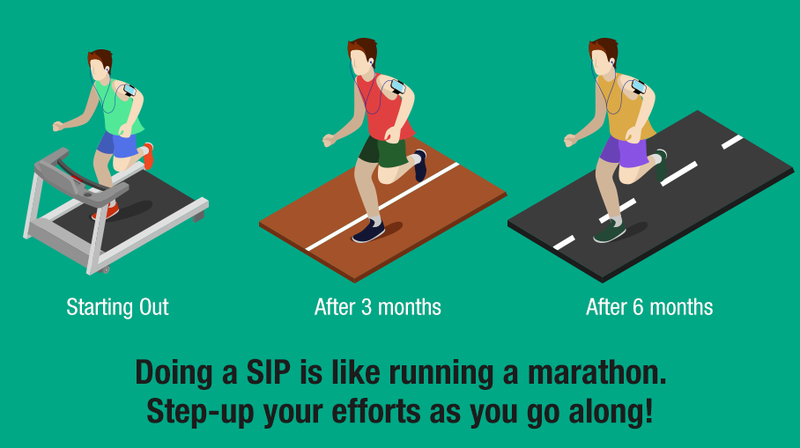 SIP in Mutual Fund is like running a marathon. Marathon runners practice throughout the year but keep stepping-up their targets every year starting from dream run, moving to half marathon and finally a full marathon. The same goes with SIPs. Systematic Investment Plans (SIPs) are a disciplined way of investing in Mutual Funds that offer you twin benefits of managing market fluctuations through rupee cost averaging and power of compounding over long-term. SIPs have become a popular way of investing in Mutual Funds as they allow small and regular investments over many years. Does this mean you’ll be stuck forever with the initial SIP amount you started with? The answer is NO. Suppose you started with INR 3000 p.m. in Equity Mutual Fund and continued investing for two years. If you want to commit more money towards this SIP, go for SIP top-up that lets you automatically increase the SIP amount by a pre-defined percentage (say 50%) or amount (say INR 1500) at regular intervals/every year. While you can’t increase your SIP amounts automatically every month, you can increase it at specific intervals like quarterly or annually through top-ups. You can also make additional purchases in your SIP account folio whenever you want to invest more money. What is the minimum and maximum tenure that I can invest in Mutual Funds?